When was the last time you multitasked in a meeting? Drifted off? Got annoyed? Wished you were anywhere else but there? If any of that rings true for you, you’re not alone. In a Verizon Conferencing study, 91% of respondents admitted to daydreaming during meetings, and 39% said they’ve napped in them. Overall, research shows that employees waste a staggering 31 hours of unproductive time in meetings every month. Most people walk away from meetings feeling unsatisfied because most meetings are designed to address the needs and thinking preferences of the meeting leader, not the people on the invite list. And when you design and lead a meeting with only your own preferences in mind, you’re bound to lose those who aren’t on your wavelength. With attention at a premium in today’s world, keeping people engaged, even when they’re sitting right in front of you, is one of the biggest challenges you face as a meeting leader. Fortunately, we know a few things about the brain that can help. Try these tips to capture and keep your team’s attention—and keep their brains working. Do Your Team Building Exercises Do More Harm Than Good? What could be more fun than a team building exercise? Before you say, “Just about anything,” maybe we should look at some of the reasons why team building activities get such a bad rap. Let’s start with that loaded word “fun.” Fun activities are a great way to lighten things up and spark new ideas, especially when the team’s been under a lot of pressure or needs a break from some intense work. One study even found that humor and laughter are effective coping strategies for dealing with failure and stress. Having fun at work is a good thing, and in some cases, the break might be just what the team needs to recharge its thinking and get a fresh outlook on the task at hand. But sometimes these activities don’t really have a point. Either they’re not serving a clear business purpose or they haven’t been designed with a specific goal in mind. In this sense, they’re not really team building exercises; they’re socializing disguised as team building. It’s no wonder then that some team members will end up annoyed, feeling like they’re wasting time that could be better spent working on meeting that critical deadline. Your team has been tasked to solve a tough problem or to come up with a breakthrough idea or new opportunity. How will you attack the challenge? What’s your go-to creative tool? In many team collaboration scenarios, the instinct is to get everyone together for a big, freewheeling brainstorming session and see what comes out of it. That is one way to go. But it’s not necessarily the best way. And on its own, it’s not likely to get you to the boundary-pushing ideas and solutions you need. When leaders look at team collaboration as a way to spark creativity, brainstorming is often one of the first things they’ll think of. The members of the project team will gather around a conference table, set a timer and spout their first thoughts about a topic while some poor soul diligently takes notes. The whole point of the exercise, they’re led to believe, is quantity of ideas, not quality. Eventually the timer goes off. People stand up, pat themselves on the back, congratulate each other on their creative thinking, and then file out of the room. More and more organizations are recognizing that a team approach can be a key driver of business performance. But just having teams isn’t the answer, of course. Those teams have to be productive and able to work together to deliver more value as a whole than they would as individuals. The stakes are high: If the team breaks down or can’t get it together, the business suffers. So we decided to take a look at what some of the world’s best-performing teams are doing to see what we can learn from their productivity and performance secrets. Teams have never been more important in business. But with the demands and complexities of today’s work environment—not to mention the challenges of working with global, remote or regularly changing team members—working in a team isn’t always easy. A great team is a “brain trust” of diverse thinkers, one that’s greater than the sum of its parts. They’re collaborators you can count on to bring new perspectives to the table, listen to and value your ideas, and stay accountable to common goals, especially when the pressure heats up. Is your team’s specialty putting out fires? Being able to deal with a big crisis is a good skill for any team to have. But why wait until the sirens are blasting to think about your team’s performance? Not every crisis can be prevented, but many teams keep getting caught off guard by problems that could have been identified and addressed long before they turned into an emergency. Without regular maintenance checks to provide line of sight to performance and progress, though, it can be difficult to detect the little sparks that, over time, can do a whole lot of damage. A team dashboard is a great way to get everyone on the same page and make sure the team isn’t missing any important checks or clues to potential problems down the road. It can help your team sidestep the preventable problems and be better prepared when the unavoidable happens. Month after month (or maybe it’s week after week), your team gets together for its regularly scheduled meeting. It’s an important chance to connect, check progress, work through current issues and come up with new ideas and strategies for the future. But is it all starting to feel a bit stale? As John Medina, author of the book Brain Rules, has noted, “People don't pay attention to boring things. So if you really want to have a lousy meeting, make sure it's boring.” In other words, if it’s not somewhat interesting and fun, the brain checks out. And that means boring meetings are more than just potential morale killers and insomnia cures; they can also be a colossal waste of time. So, back to that regularly scheduled meeting: When was the last time you looked over your team meeting routine? Now might be a good time for a refresh. Here at Herrmann International one of our key fundamentals is that we try to "eat our own cooking" and use Whole Brain® Thinking in our own work. 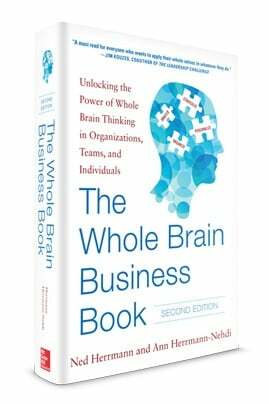 This post is part of a series where some of our team members talk about some ways they use Whole Brain® Thinking for their day-do-day work. This post is by our Lead Software Engineer, Andrew Swerlick. At first glance, software development might not seem like a job that involves a lot of day-to-day Whole Brain® Thinking. After all, a lot of what our team does seems like it's firmly situated in the technical, analytical A quadrant. Sure, we do have to collaborate with other internal teams on product design, requirements gathering, etc., but when it get to the point where our developers put their fingers to the keyboard and start writing code, all the other quadrants go away, right? When I first started at Herrmann a couple of years ago, I probably would have said yes. But recently, our development team has adopted some practices that are showing me the value of writing Whole Brain® code. Is it time to hop off the performance review train? More and more companies are moving away from the traditional approach to performance management to one of continuous feedback. It’s partly a response to a growing desire among employees, particularly Millennials, for regular feedback and check-ins about performance. But it’s also due to the general consensus of managers and employees alike that the tried-and-true performance review process hasn’t really done the job it was intended to do. Along with this shift, a whole host of new tools and systems for managing the feedback process has been introduced. In fact, we’ve been working with North Highland on integrating the HBDI® into a feedback app called Culr, which brings feedback and thinking styles together for an all-in-one approach to real-time development and performance management. As helpful as these new tools are, though, technology can’t do all the work for you. Effective feedback and performance review discussions still require the human-to-human connection of manager and employee. Regardless of what else changes, you can’t take the people out of the process. So what has changed? In many ways, this is a move from performance management as an event and a “verdict” to continuous coaching, which is less about the past and more focused on the future and the necessary adjustments that need to be made along the way. This morning, I experienced the annual ritual that reminds me it’s the beginning of a new year: I had trouble finding a parking spot at my gym. With the holidays behind us and the clean slate of the new year laid out in front of us, fitness is on the minds of many. But this doesn’t have to be just about physical well-being. Now’s the perfect time to redouble your focus on building the health and fitness of your team at work. We respect your privacy, so we won't share your information without your consent. 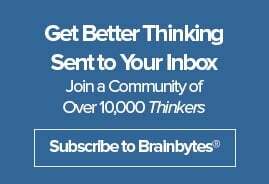 Please note that we will add you to our list to receive HBDI® and Whole Brain® Thinking communications. You can update your email preferences at any time. For more information on how we use and protect your information, click here. Read the first two chapters and order your copy today!